If you are new to Clemson Community Care we invite you to learn more about our organization through this website and to visit our offices located in Clemson. We welcome your participation whether it be through seeking our services, volunteering your service or making a donation. Thanks to our donors and volunteers! Volunteers continue to generously gave their time to serve clients. Contact the CCC office for more information about how you can help in 2018 and/or click here to make a donation. See the sidebar for pantry items needed now. ♦ 70 seniors received food boxes each month. ♦ 244 children received toys for Christmas. ♦ 139 children were outfitted with school supplies. ♦ 366 families avoided utility disconnect. ♦ 343 families received holiday food. ♦ 81 families avoided eviction. ♦ 1,748 families received food. If you have any questions about the CCC program or would like to volunteer, contact the office by phone (864-653-4460) or email (ccc@clemsoncommunitycare.org). Contact webmaster with corrections or suggestions for the CCC website. Click the button below to donate to CCC via Paypal. Our Mission is to assist persons in difficult circumstances with necessities such as food, shelter and utilities, and to help them to become self-sufficient through educational programs and advocacy. 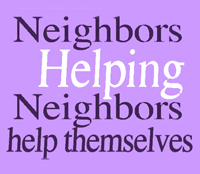 We serve Clemson, Central and Pendleton, SC communities. Food can be dropped off at the CCC office Monday-Thursday, 8:30am-1:30pm. Check the calendar for days office is closed. CCC is a partner agency with both Pickens County United Way and Anderson County United Way.